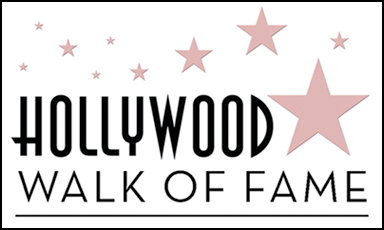 "The Hollywood Chamber of Commerce is proud to announce that prolific singer, songwriter and producer Jeff Lynne will be honoured with the 2,548th star on the Hollywood Walk of Fame on Thursday, April 23, 2015 at 11:30 a.m. PDT. The star in the category of Recording will be dedicated at 1750 N. Vine Street in front of the iconic Capitol Records building where the stars of Lynne’s friends and co-musicians The Beatles and Roy Orbison are cemented. “Jeff Lynne is one of the premier musicians of his time! With longevity and decades of his magical artistry, Lynne has captivated fans with his distinctive style and very memorable sounds," stated Ana Martinez, Producer of the Hollywood Walk of Fame ceremonies. "We are thrilled to add his name to our famed Walk of Fame next to his musical peers." Helping MC and Hollywood Chamber President/CEO Leron Gubler to unveil the star will be Tom Petty and Joe Walsh. Born and raised in Shard End, Birmingham, England Lynne has been bringing music to fans in his home country and around the world for nearly four decades. He came to prominence as the leader and creative force of Electric Light Orchestra - better known by its initials, ELO. With ELO, he scored many hits throughout the 1970s, including "Can't Get It Out of My Head," "Livin' Thing," and "Don't Bring Me Down" to name a few. Lynne eventually went on to concentrate on production and songwriting work for fellow major stars, former Beatles Paul McCartney and George Harrison among them. He resurfaced as a performer in 1988, when he became a member of The Traveling Wilburys. One thing that has made the past few years thrilling times for Jeff Lynne fans is that the man himself has been busy working in the studio - his natural environment - and increasingly onstage as well to bring Jeff Lynne’s ELO back to life for generations of fans all around the world. The love for Lynne's musical genius was vividly apparent in September 2014 when ELO headlined BBC Radio 2's Hyde Park festival, the first time in almost 30 years that they’d been on a festival stage. The 50,000 fans in attendance sang along in joyous rapture with every word. More than 800,000 people tuned in to BBC’s “Red Button” to watch the show. In his own powerful but humble way, Jeff Lynne has been making waves all over the world for most of his musical life - a fact memorably documented in the acclaimed 2012 documentary Mr. Blue Sky: The Story of Jeff Lynne & ELO. In 2012, Lynne returned to make waves all over again with Long Wave. Lynne’s extraordinary latest solo album found this remarkable artist recording some of the great popular songs that first inspired his lifelong and enduring love affair with popular music. 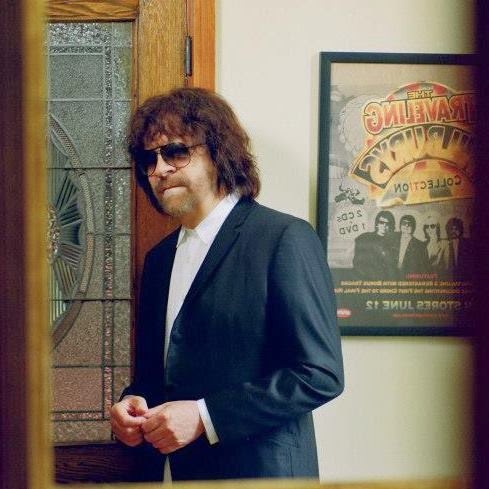 The songs that Jeff Lynne revisited on Long Wave are some of the great songs that inspired him to go on to write his modern standards like, "Mr. Blue Sky," "Showdown," "Livin' Thing," "Do Ya," "Sweet Talkin' Woman" and "Telephone Line." Long Wave arrived as Lynne was also bringing his fans Mr. Blue Sky: The Very Best of Electric Light Orchestra, an altogether stunning volume featuring new versions of his past ELO smashes. Electric Light Orchestra is one of the most remarkable success stories in rock history. ELO has sold over 50-million records worldwide, and continues to be a remarkably popular catalogue. Between 1972 and 1986, Lynne wrote and produced 26 Top 40 hits in the United Kingdom, and 20 Top 40 hits in the United States, including 20 Top 20 smashes in the UK and 15 Top 20 smashes in the U.S. The ELO catalogue continues to have tremendous impact in the 21st Century, and demonstrated powerfully so when the compilation All Over The World: The Very Best of Electric Light Orchestra was released in 2005, and became a Top 10 album hit in international markets including England. Over the years, Lynne produced and collaborated with many of the greatest musical artists of all time, including Roy Orbison, Del Shannon, George Harrison, Paul McCartney, Ringo Starr, and The Beatles themselves. He has also collaborated with such contemporaries as Tom Petty and Joe Walsh, whose latest album Analog Man Lynne helped produce. Together with Harrison, Orbison, Petty and Bob Dylan, Lynne is a member of the Grammy award-winning Traveling Wilburys - a super group like no other. The undeniable fact is that with Electric Light Orchestra, Jeff Lynne brought the world a different sound that still sounds modern, relevant and great. Lynne is involved with such organisations as St. Jude Research Hospital, MUSICARES and H.E.A.R.T. [Helping Ease Abuse Related Trauma]." Yours Truly KJS and ELO Beatles Forever [ELOBF] wish to congratulate Jeff Lynne on the occasion of this well deserved award and the long overdue recognition of his stellar musical career. This is awesome and exciting news to say the least!!! Just learned Jeff Lynne is getting a star on the Hollywood Walk of Fame in front of Capitol Records! He is so deserving! Congratulations Jeff!